speeds groupset. We take the liberty to unveil these first pictures, a couple of hours before the expected date. 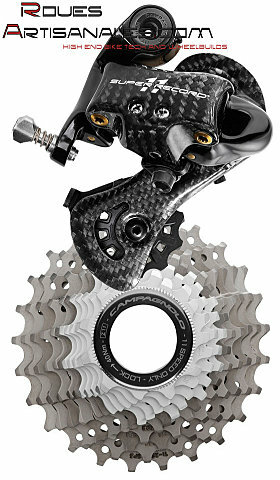 The Campagnolo Super record groupset will be at the top of the italian range, just above the standard « Record ». The expected price is 2300 euros, against 2000 euros for the normal Record. 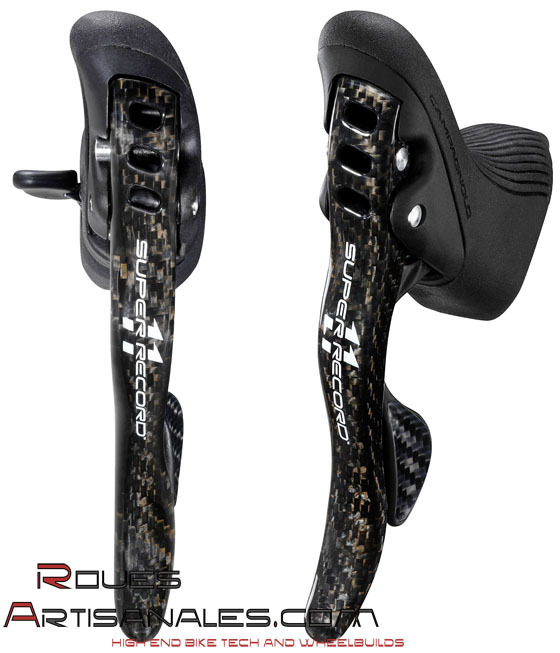 The levers are dramatically changing shape on the whole range, they are higher and face the interior of the bars.